In order to celebrate the recent flurry of snow, we decided to give one of our windows a winter theme. For the other, we decided to contrast with the cool tones of the snow by creating a warm, city theme. Our snow themed window includes pictures by Graham Clarke and Dan Crisp. It also includes a selection of oil pastel and watercolour art materials that we sell - perfect for if you’re wanting to capture a snowy landscape before it fades away. 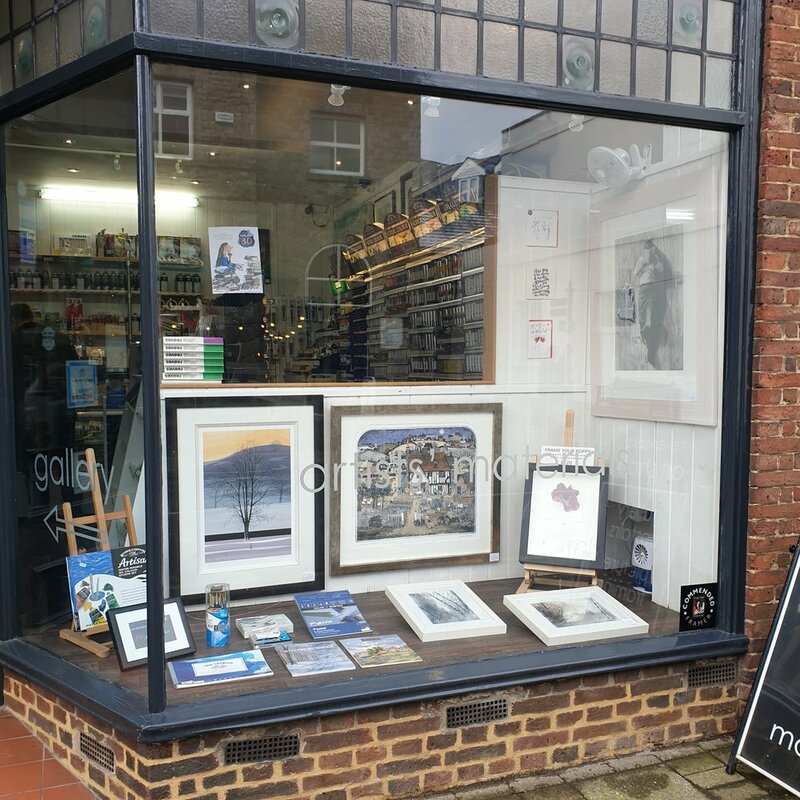 The city themed window includes pieces from Roger Fitzgerald, Nigel Cooke and Melvyn Evans, as well as a couple of monochrome prints featuring some of London’s most famous landmarks. We also have a couple of great books in there for if you’re wanting to improve your building drawing and painting skills. Remember to pop in and take a look at all of the other amazing pictures that we have up in the gallery!